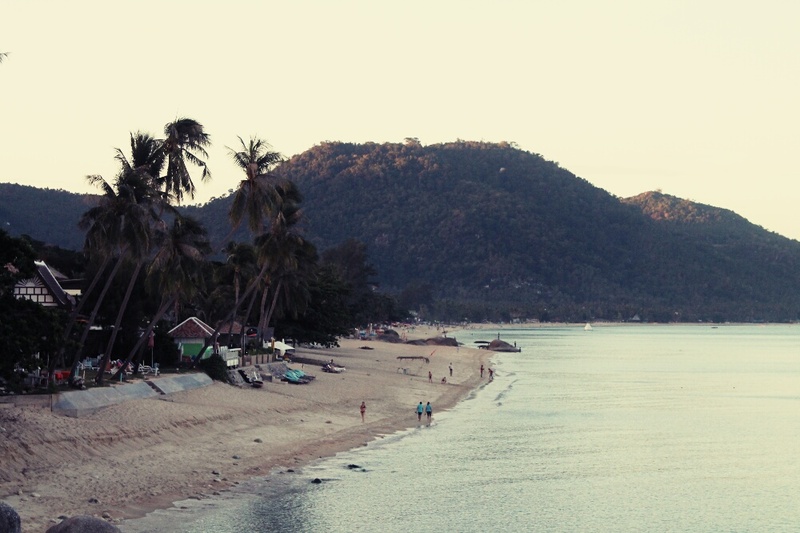 It can be hard choosing which island in Thailand to spend a few days relaxing on. I know, you’re feeling really bad for Team MussMart right now…we hear ya. After Koh Tao we decided to venture to Koh Samui. It’s wasn’t too far away and the weather was looking better here than the islands of the Andaman Coast (the west side of Thailand). We took the cheapest, longest way to travel between the islands, which still only took about 4 hours. You always have to add on extra travel time in Thailand because no public transportation sticks to their posted times of departure. Ever! The trip started with a ‘slow boat’, which actually wasn’t all that slow. It was however very rough. We were bobbing up and down, swaying side to side the entire time. I’ve got a bit of a problem with motion sickness, so the entire trip I was doing all I could to stay focused on not yakking on the boat. This was unsuccessful. After thinking happy thoughts and signing songs in my head, my battle was lost in a little plastic bag at my seat while Musson was soundly sleeping in the seat next to me. Lovely stuff. We then transferred to a ferry and although I was reluctant to get on another boat, I knew these boats were smoother. I was fine on that one, but still extremely happy to reach the shore. We stayed 3 nights at a lovely place called Samui Beach Resort on Lamai Beach. The price was reasonable (£10 per night) and the highlights were the lounge chairs, little huts to chill in, the swimming pool…and…wait for it…all of this luxury was right on the sandy shores of the sea. We definitely felt like we were living the high life for a few days. The resort was just up the way from a local tourist attraction. 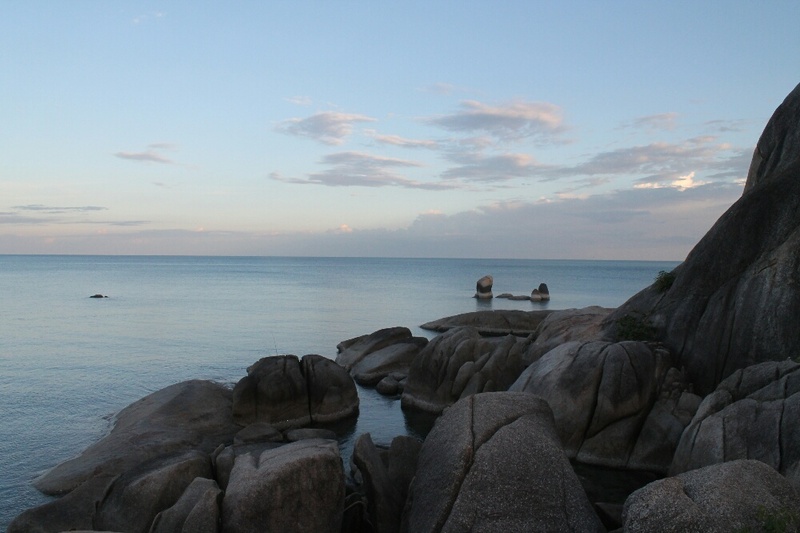 Hin Yay and Hin Ta, also known as the Grandmother and Grandfather Rocks which resembles the male and female sexual organs. 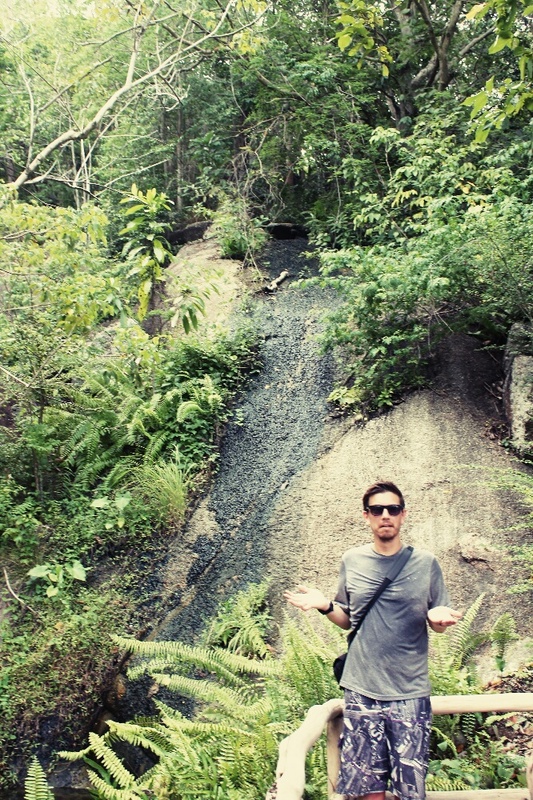 Gotta love nature. We tried to make our way to this interesting rock formation one evening but failed to make it all the way. 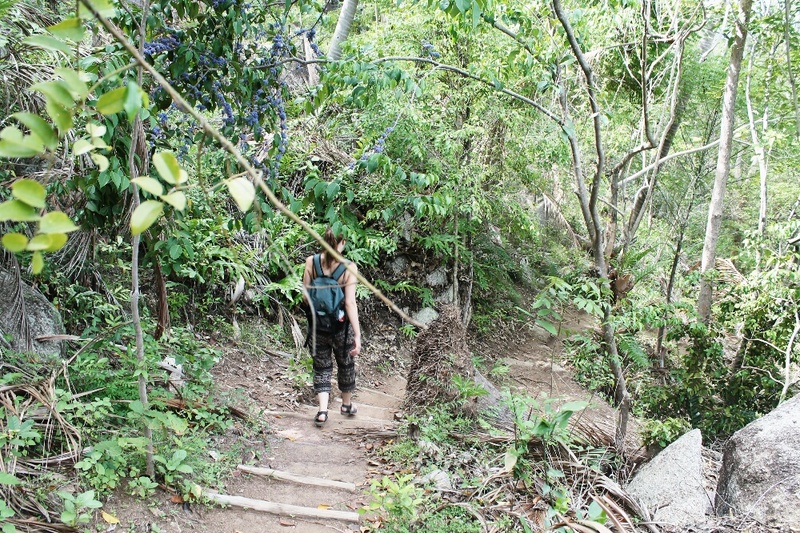 The tide had come and we were neither prepared for the swim, nor the climb. Musson used the backwards crab technique and glided gracefully to the top of a large boulder. I on the other hand stood there helplessly before mustering up the courage to use the same technique and meet Mus-O-Polo at the top. We were only able to get pictures from afar. The only other tourist attraction we managed to get ourselves to was a viewpoint and what turned out to be a waterless waterfall. As you can see from the picture Musson had more water dripping down him. Bit disappointing that was. We hiked up hill to the viewpoint and it was nice seeing the ocean from that height. However it was spoiled by the nearby construction and blue tin roof which obstructed the view. Hey, you can’t expect to have it all. The next place we stayed in Koh Samui was the New Hut Bungalows, also on Lamai Beach. 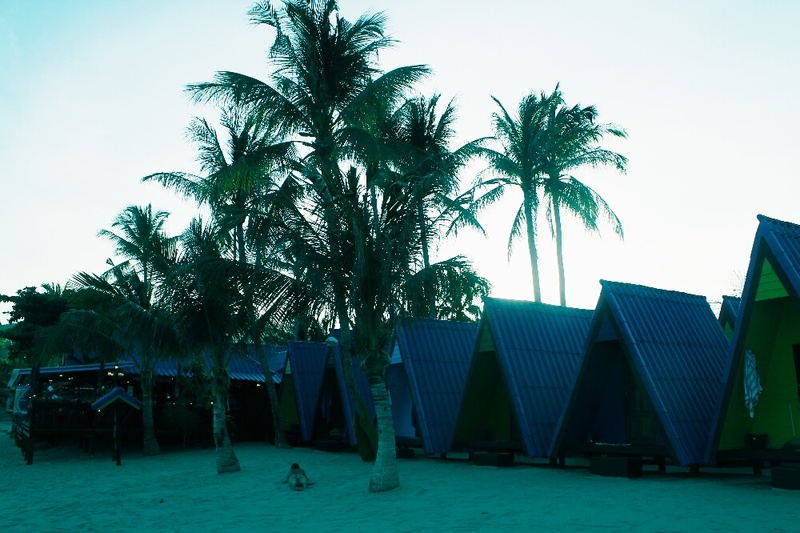 They were really basic, yet quirky huts right on the beach with only a fan and bed (£7/night). The shared toilets and showers were surprisingly nice and clean. Sharing those necessities can be challenging in some places. We lucked out. Beyond the lazy beach days and posh resort, we ventured into the hub of Lamai Beach (15 mins walk from our hotel). There is a lot more action there, from night markets to more bars and restaurants. We ate dinner and went to a pool bar where we were greeted by ‘ladyboy’ bar personnel. The bar itself had a number of poles for the working girls and young drunk western lads to do their thing. It was a good place to people watch – to say the least. Shortly after we went to an Irish bar called Shamrocks which turned out to be the highlight of the night. Playing at Shamrocks were the local celebrity Filipino cover-band Ovada Show Band They were awesome. Their catalogue was vast. 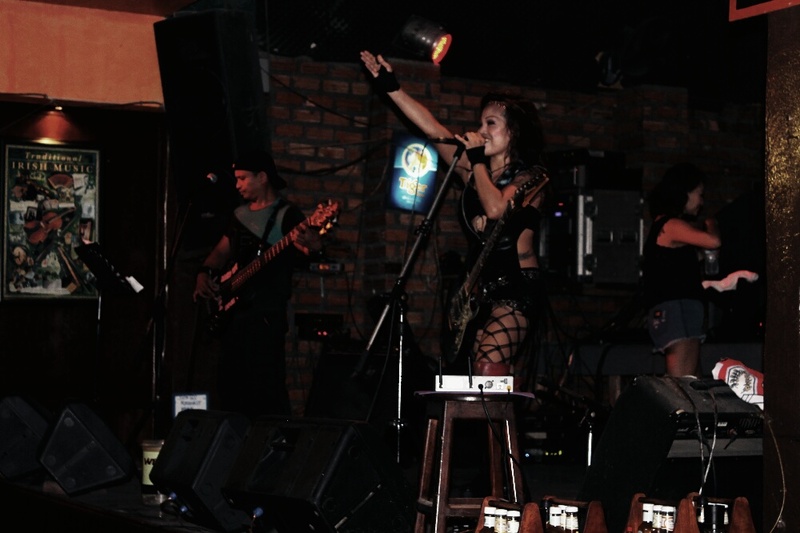 They sang songs from Queen, Nirvana, Journey to Bette Midler and Lady Gaga. They were more than open to taking requests and I’m not sure there was anything they couldn’t play. The leading lady was by far the star of the show. 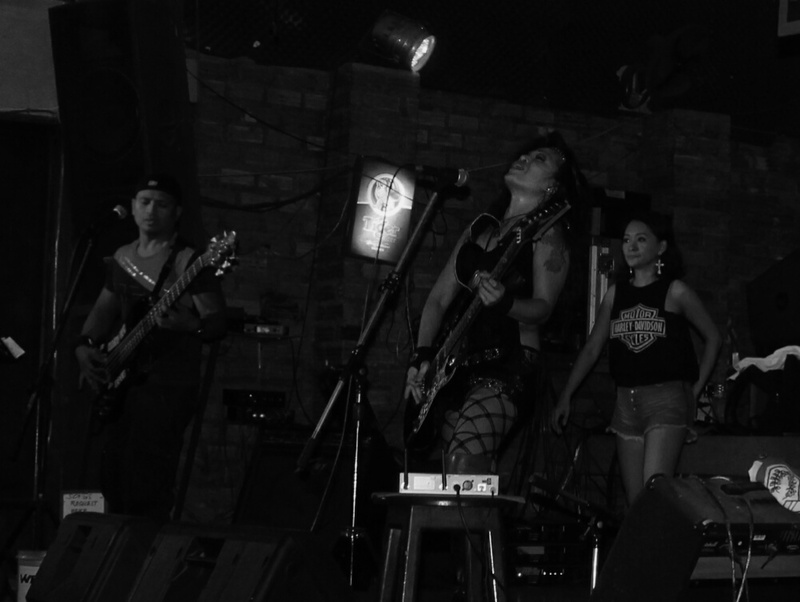 Musson described her as the ‘female, Filipino version of Jimmi Hendrix’ if that gives you any indication of her talents. The rest of the band most certainly deserve recognition as well. We had so much fun and the rest of the patrons did too. I would strongly recommend seeing them if you ever find your way to this side of the world. 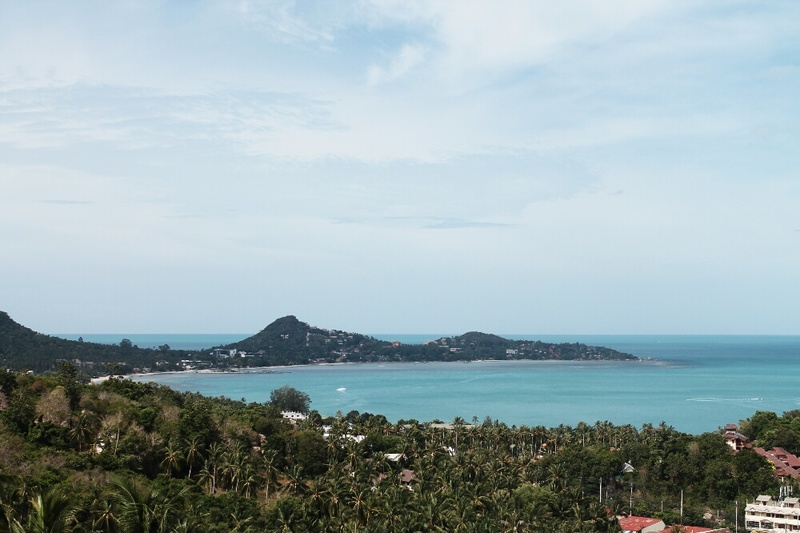 Koh Samui was a pleasure and everything was slightly cheaper than Koh Tao. A large beer you could pick up for £1.20 and the hotels, the ones we stayed in, you get a bit more bang for your buck. Both islands can cater for any type of traveller. You can stay near the main strips, or hide away on secluded beaches. It depends on your preference. 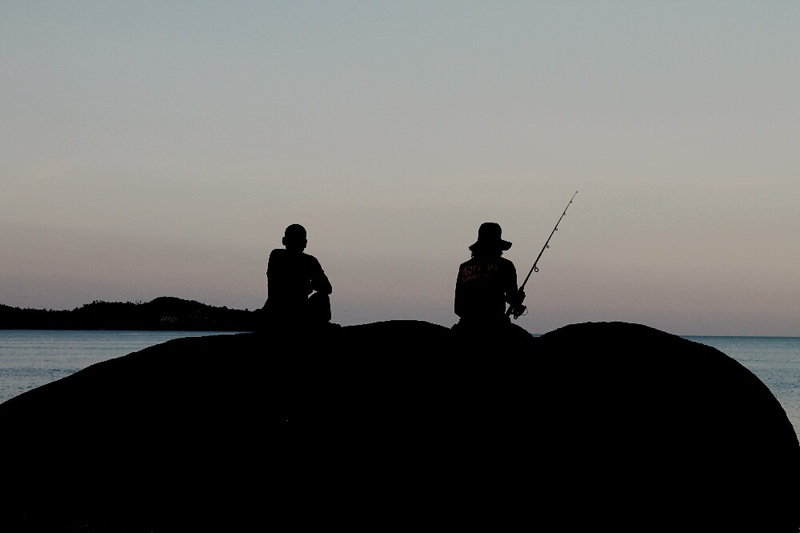 We chose to do both because it was nice to be away from the crowds, but closer to town always offers more amenities at more affordable prices. Alas, like all good things, it must come to an end. Next we are making our way overland to Krabi for a few days. Posted on July 4, 2014 July 4, 2014 by themussmarter	This entry was posted in General MussMart News, Thailand, Where are we now? and tagged koh samui, lamai beach, Thailand, thailand islands, travelling. Bookmark the permalink. 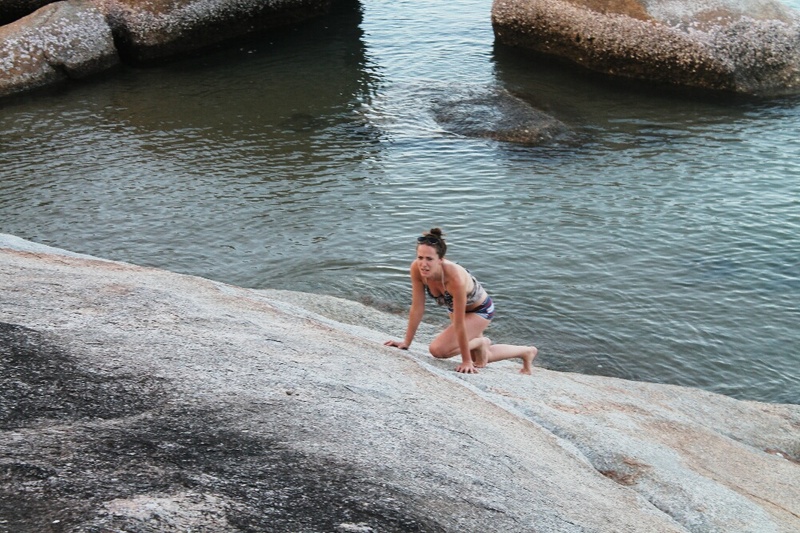 ← Ka pow… Koh Tao!